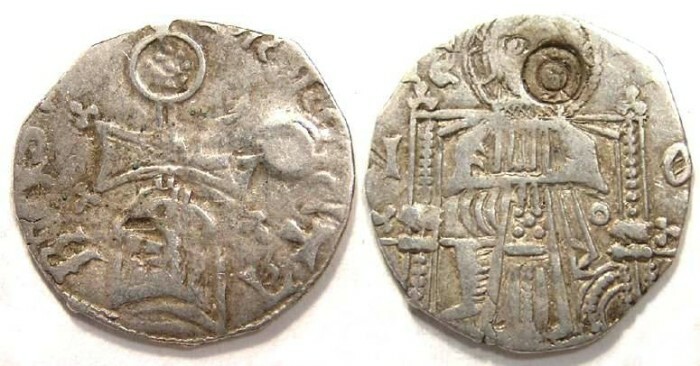 Serbia, Stefan Uros IV Dusan as King, AD 1331-1346. Date : issue of AD 1331 to 1346. Size : 16.5 x 17.8 mm. Weight : 1.00 grams. Obverse : Fancy cross with MONITAS REX STEFA around. Reverse : Christ enthroned with IS XC and H O at the sides (the H is part off the flan). There is a round countermark on the obverse, with circle in it.